Established in 1993, IT & CMA is at the forefront of fostering MICE growth opportunities for the Asia-Pacific region and beyond. Its multifaceted programme engages regional and international industry suppliers and buyers in the realms of business, education and networking. Between 27th and 29th September 2016 the 24th IT & CMA edition was held, once again at the Bangkok Convention Centre at CentralWorld. At the press conference for the opening of the event Darren Ng, managing director of TTG Asia Media, the organizing company, confirmed that the IT & CMA event would be held at the same venue in 2017. In the past years we have seen gradual changes of the profiles of the exhibitors at the event: around five years ago the exhibitors were mainly from various countries of ASEAN and Asia, whereas in more recent years more and more exhibitors from Thailand have attended. This is an attractive point for international buyers interested in the country, and it means more varied offers can be showcased. Altogether there were 732 exhibitors at the 2016 IT & CMA, coming from 244 exhibiting companies. 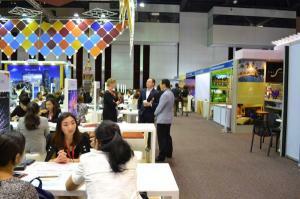 There were also two new national pavilions – Chiang Mai MICE City (90sqm) and Pattaya MICE City (60sqm). From Europe, the Monaco Government Tourist Bureau representatives were attending the show for the first time. Thailand Convention Bureau introduced its 2017 global communication campaign “Thailand – CONNECT Your Vibrant Journey to Business Success” to international MICE delegates and press. The campaign continues to build on the strong legacy of three fundamental pillars of Thailand’s MICE industry. The pillars are: 1. Destinations, 2. Business and 3, People. By using these pillars and showcasing the best of all three elements, Thailand expects to welcome a total of 1,109,000 business event travelers in 2017. This has increased from 1,060,000 in 2016 and is estimated to earn the Thai economy a total of 101 billion baht (USD 2,900,000), which is up from 92 billion baht (USD 260,000,000) in 2016. In 2017 Thailand will continue to successfully host major business events in the country, such as the 10th International Petroleum Technology Conference with 2,500 delegates, VIV Asia 2017 with 30,000 delegates and Bangkok Entertainment Week 2017 with 700,000 participants, with many more events happening too. The expansion of the Thai meetings industry has drawn new Thai exhibitors from the hotel industry to the IT & CMA for the 2016 event. 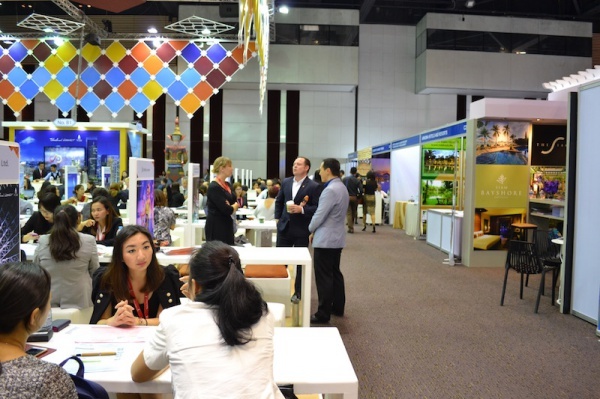 There exhibitors included Holiday Inn Bangkok Silom, JW Marriott Phuket Resort and Spa, Mida Hotels and Resorts, Novotel Bangkok Bangna, Pullman Bangkok Grande Sukhumvith, Samui Palm Beach Resort, Sukosol Hotels, Swissotel Le Concorde Bangkok and Swissotel Resort Phuket Kamala Beach. There were also new international exhibitors from some popular cruise lines – Celebrity Cruise Lines, Royal Carribean International from the USA and Norwegian Cruise Line from Singapore. The buyers – in total 342 people – mainly came from Asia (61 percent), and from Europe (28 percent) and the percentage of new buyers was a high rate of 69 percent. The organizers TTG Asia Media with their partners the Thailand Convention Bureau, TICA (Thailand Incentive and Convention Association), Tourism Authority of Thailand, Airports of Thailand, BMA and TCT put a lot of attention into constantly bringing new buyers every year so that the exhibitors can create new contacts and business relations, and so existing exhibitors will see new buyers each year. This strategy is what keeps an event of this format lively and fresh, ensuring that each year offers new buyers, sellers and exhibitors so that the long-term exhibitors are more likely to make decisions about the booking for the following year based on the new clientele they know will be attending. Speaking about the event IT & CMA in general, we can see the progressive movement of the focus on Asian markets that grow in MICE business and business exchanges in the meetings industry. The new exchanges with the countries of the Central and Eastern Europe are strengthening as well, as there were number of new buyers coming from the Czech Republic who were mainly from agencies. TCEB (Thailand Convention and Exhibition Bureau) keeps supporting international event organizers. Ms. Nooch Homrossukhon, Director of M & I department at TCEB, said in an interview for BizEvent Asia that she and her team seek to achieve a target of increasing M & I visitors by 5 percent, and an increase of 10 percent in M & I revenue in the new financial year starting October 1st 2016. 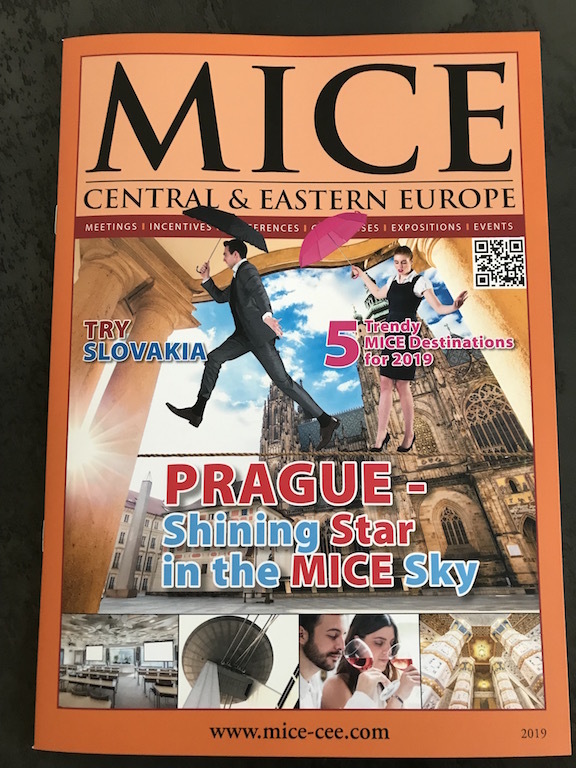 One of the strategic for meeting this targets is winning more quality events through segmented key markets including the new market – Eastern Europe. TCEB is also launching the “Meet in Style, Meet in Thailand” campaign that will support packages to entice more business to hold events during the period from October 1st 2016 to December 31st 2017. If a group will have more than 200 delegates and stay a minimum of 3 nights, it will receive financial support of up to THB 100,000 per group. 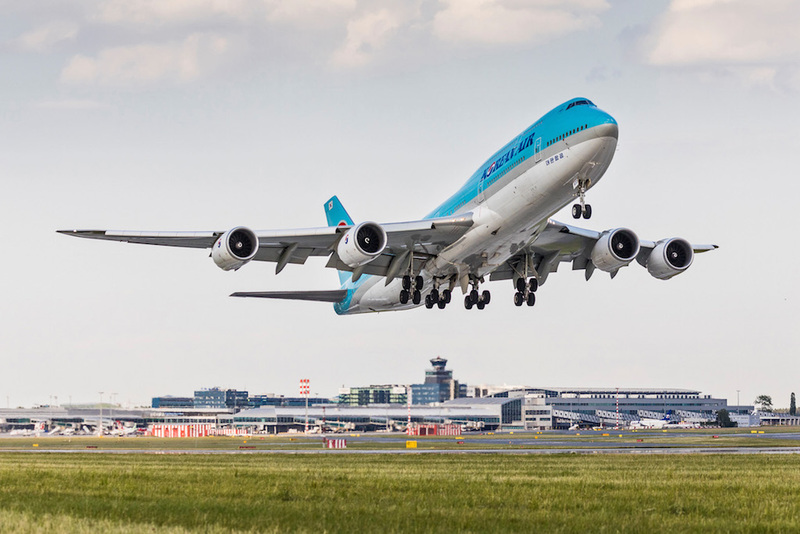 If the duration of the event will be 4 nights or more including more than one destination, the organizers will receive financial support of up to THB 100,000 per group. Any group of more than 2.000 delegates who stay a minimum of 3 nights will receive up to THB 2 million per group. 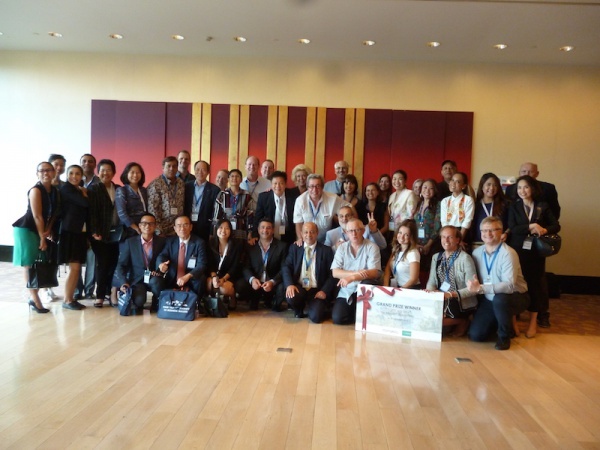 At the IT & CMA in Bangkok this year there were also a lot of interesting educational, discussion based and conference programmes offered to the delegates. These included the ASEAN MICE Forum, a new initiative offering discussions on various questions of the meetings industry today about interesting topics such as Emerging ASEAN, Second Wave of MICE Cities and ASEAN, A Rising star for Exhibitions. Another programme proposed 8 Association Day Forums with many high profile speakers – for example Alwin Zecha, Chairman and Founder of Pacific Leisure Group addressed the delegates. Social networking events and activities like traditional friendly golf games, city tours to discover Bangkok, an Opening Ceremony and Welcome Reception by Thailand Convention and Exhibition Bureau, a Hosted Dinner by Tourism Promotion Board Philippines, the 15th Sticky Awards Lunch and Post-show Destination Tours in Thailand were on the vast bill of activities and events offered. Hosted Luncheons were sponsored by VisitBerlin, Dubai Business Events, Busan Tourism Organisation and Fukuoka Convention and Visitor Bureau, and a Cocktail Session was organized by Chiang Mai MICE City. 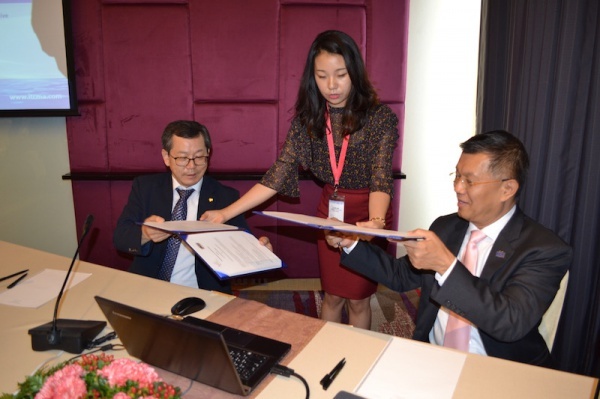 As international media, we were as well invited to the Memorandum of Understanding (MOU) Signing Ceremony between Korea MICE Association (KMA) and Thailand Incentive and Convention Association (TICA). This agreement was signed to show that both countries will cooperate for the growth of the MICE industry in Korea and Thailand, with the aim to contribute to the economies of both countries and further the enhancement of international goodwill and cooperation. 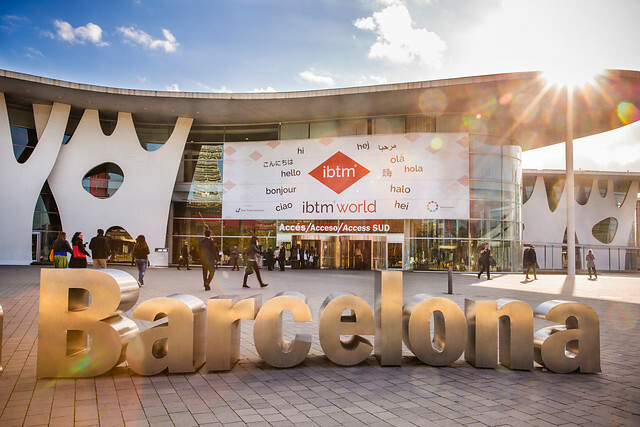 The event IT & CMA 2016 was filled with meetings between sellers and buyers (about 10,000 meetings took place at the event), networking, exchanges between various players in the meetings industry and altogether some very good work accomplished. 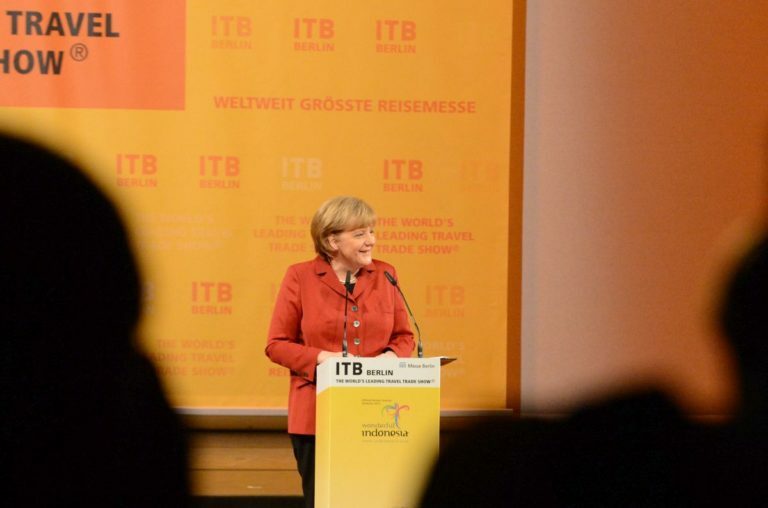 New business relationships were established, and the whole event had a general atmosphere of inspiration.